Do some cultural sightseeing at National Museum of the Pacific War and San Fernando De Bexar Cathedral. Shop till you drop at The San Antonio River Walk and Texcetera. Explore Austin's surroundings by going to Calais Winery (in Hye), Fredericksburg (Grape Creek Vineyards Fredericksburg, Wildseed Farms, & more) and San Antonio (Natural Bridge Caverns & San Antonio River). Next up on the itinerary: trek along Lady Bird Lake Hike-and-Bike Trail. To see photos, reviews, where to stay, and more tourist information, you can read our Austin route planner. If you are flying in from United States, the closest major airports are Austin Bergstrom International Airport and San Antonio International Airport. In May, plan for daily highs up to 85°F, and evening lows to 65°F. On the 20th (Mon), wrap the sightseeing up by early afternoon so you can travel to Paris. 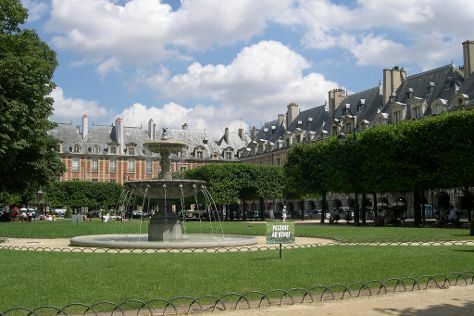 Your cultural itinerary includes sights like Le Marais and Palace of Versailles. Get some historical perspective at Champs-Elysees and Arc de Triomphe. The adventure continues: take in the spiritual surroundings of Cathédrale Notre-Dame de Paris, wander the streets of Montmartre, see the interesting displays at Musee d'Orsay, and enjoy breathtaking views from Eiffel Tower. To find other places to visit, ratings, and more tourist information, read our Paris online trip itinerary maker . Traveling by flight from Austin to Paris takes 15 hours. Alternatively, you can do a combination of bus and flight; or do a combination of bus, tram, and flight. Due to the time zone difference, you'll lose 7 hours traveling from Austin to Paris. When traveling from Austin in May, plan for cooler days and little chillier nights in Paris: temperatures range from 64°F by day to 49°F at night. Wrap up your sightseeing on the 25th (Sat) early enough to travel back home.